TeamPro is a free, simple, intuitive and awesome looking way to organize your sports team and events. We aim to give every team, no matter at what level of their sport, the level of exposure and experience that Pro teams get. In short, we give your Team the Professional treatment! Everyone dreams of being a professional sports player. Now you can look exactly like your sporting heroes! 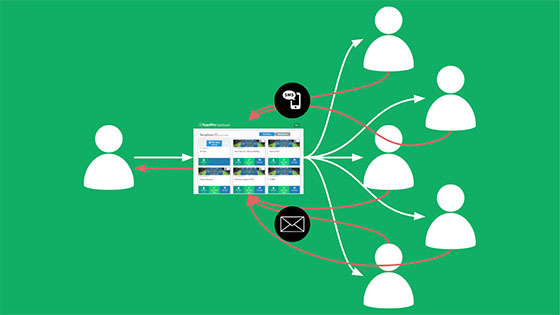 In fact, our video lineups are so good that many professional clubs now use TeamPro to share their lineups online. We’ve updated our algorithms to provide the easiest player photo upload available. You can get a great professional looking lineup within minutes. Simply drag and drop players onto your preferred formation. Websites are so last decade. Now you can provide your players and fans all of the latest news about your club from your own dedicated Rolling News Channel. People can either view on their phones, laptops or even in your clubhouse! Use our engaging videos to announce new developments within your club. Watch as people share them far and wide across social media. Let fans that couldn’t make the match, or even the players themselves, view videos of the game with our popular highlights feature. 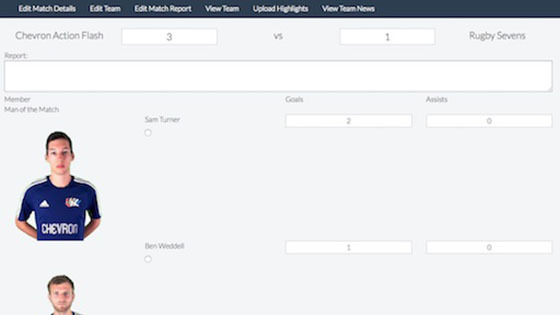 You can upload highlights, goals scored and even player or manager interviews. We know how difficult it can be getting all of the right people in the correct place at the right time. Let our automated service handle all of that process for you. Simply create your next match or training session and we’ll invite your squad for you, leaving you to choose who plays from those available. Sports players and fans love statistics! 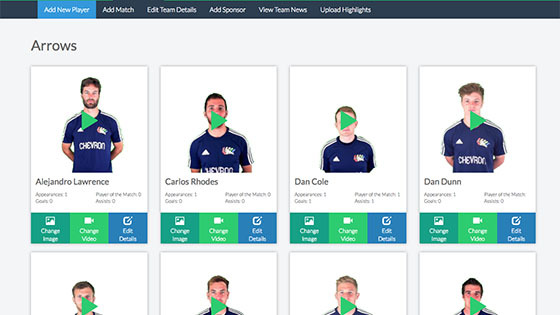 We provide an easy way for you to record, track and manage all of the stats for your club’s players. Engagement with your players and fans doesn’t finish when the match does. 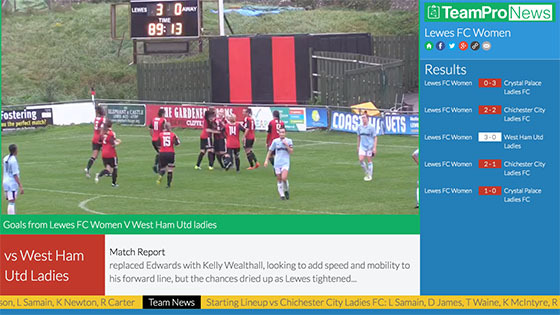 Keep your fans informed with match reports and in-depth details including scorers, assists and more. How do we offer a Free sports lineup service? We keep the service running by providing relevant adverts to our users, like the one below. So please visit our sponsors! We now offer lineups for American Football, Baseball, Basketball, Business, Cricket, Football 11-a-side, Football 4-a-side, Football 5-a-side, Football 6-a-side, Football 7-a-side, Football 9-a-side, Football Announcement, Football Squad Announcement, Futsal, Gaelic Football, Handball, Hockey, Hurling, Ice hockey, Lacrosse (Field), Lacrosse (Women's), Netball, Quidditch, Rugby League, Rugby Sevens, Rugby Union, Training, Ultimate, Volleyball, and more to come! Now whatever sport your club plays you can create a perfect lineup for your match days. 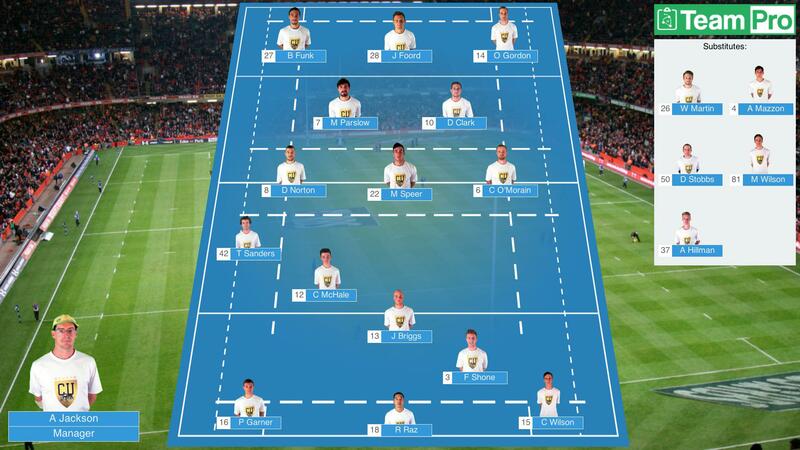 Make a professional looking team sheet for your sports team, whatever sport you play. 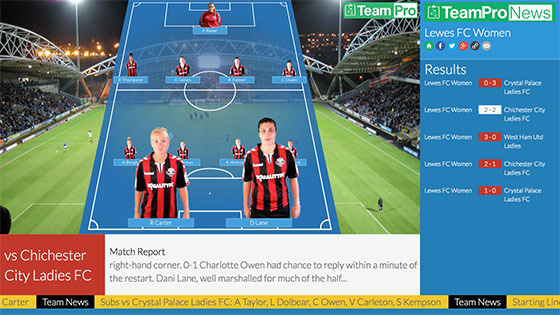 TeamPro started as a Free Football Team Sheet or Lineup Creator. We're still the best free football team sheet generator out there. And the only free football team sheet creator that allows you to use your own images for your photo football team sheets. 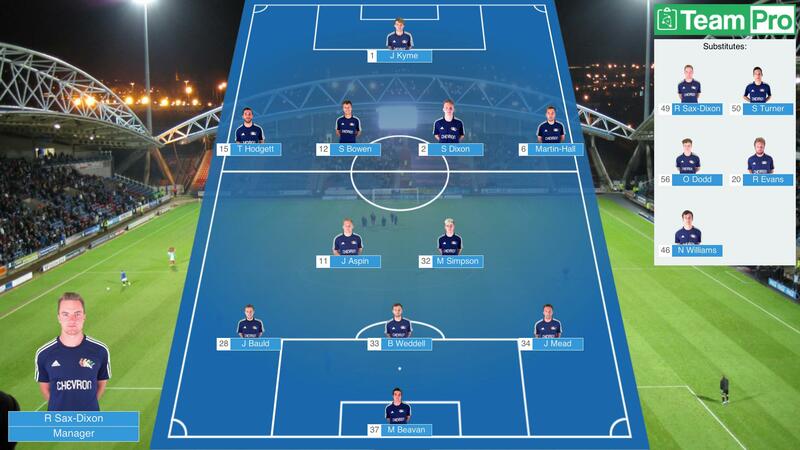 But more than that, we now allow you to create your own football video team sheets. So you can do your best impression of Jimmy Bullard and walk up to the camera just like the pros do on TV.